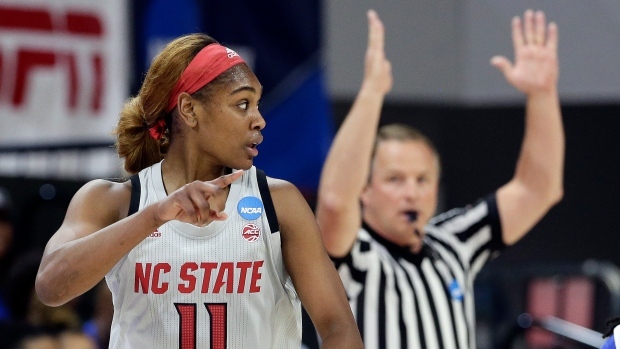 N.C. State pushed its lead into double figures by scoring the first seven points of the fourth and clamped down on Kentucky the rest of the way, with Kai Crutchfield's 3-pointer putting the Wolfpack up by 14 with 2 1/2 minutes to play. Kentucky: The Wildcats are tough to beat when they're hitting shots and forcing turnovers with a press that averages 21.4 takeaways. They're 18-0 when they outshoot their opponents. But shooting 32 per cent — their worst night in nearly two months — simply won't get it done. And they only scored 13 points off N.C. State's 16 turnovers.